The most common price paid for a residential property has remained static in the past three months. This indicates that the property price rises are moderating, mainly due to a slowdown in Dublin. The middle - or median - price of a house was €250,000 nationally in August, which is the same as it was in July and June, the Central Statistics Office (CSO) said. Median prices are considered a more accurate gauge of prices than averages, as a few €1m-plus house price sales can distort the average. There has also been no major change in the number of housing units sold, with around 4,000 sales in both August and July. Lending limits imposed on banks by the Central Bank are restricting how much first-time house-hunters can borrow, which is seen as the main reason property price inflation has eased . Greater supply of housing is also crimping price rises. The CSO figures show property prices still rose by 8.6pc nationally in the year to August. But this compares with an increase of 10pc in the year to July and an increase of 11.8pc in the 12 months to August 2017. The monthly change in August this year was just 0.3pc, compared with 0.7pc in the previous month. 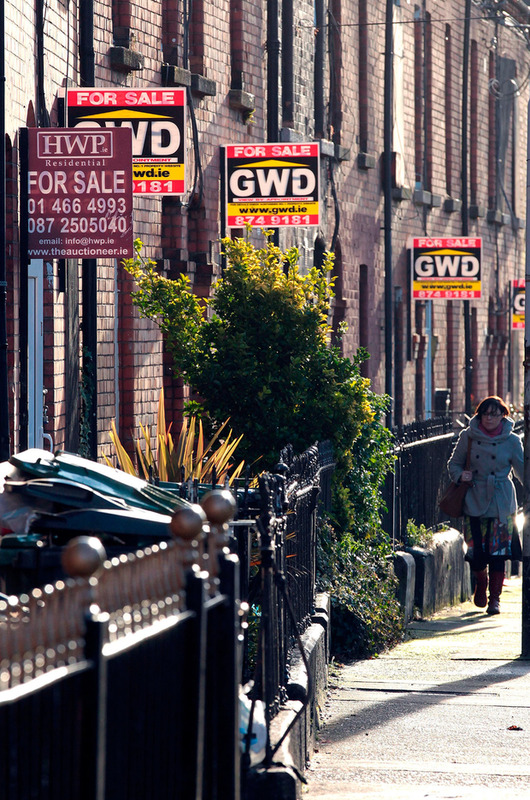 In Dublin, residential property prices increased 6.1pc in the year to August.